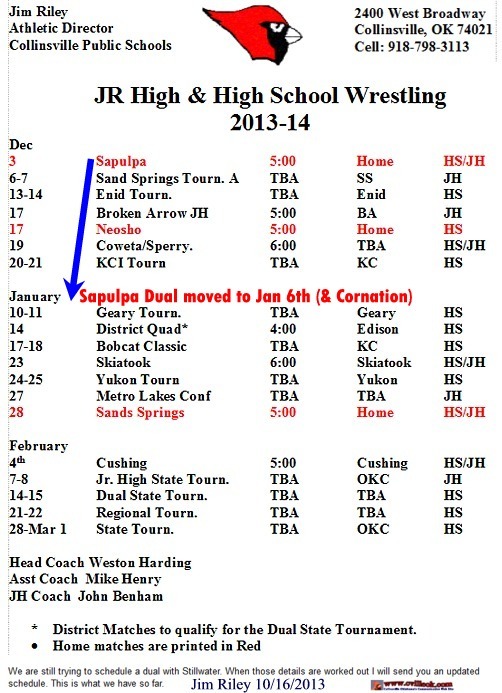 Check back for photos from Tuesday night's wrestling duals -vs- 6A 4th ranked Sand Springs. JrHi lost 13-63 and CHS Varsity lost 23-35. Brooke Eigenheer is mat maid for the JrHi team.